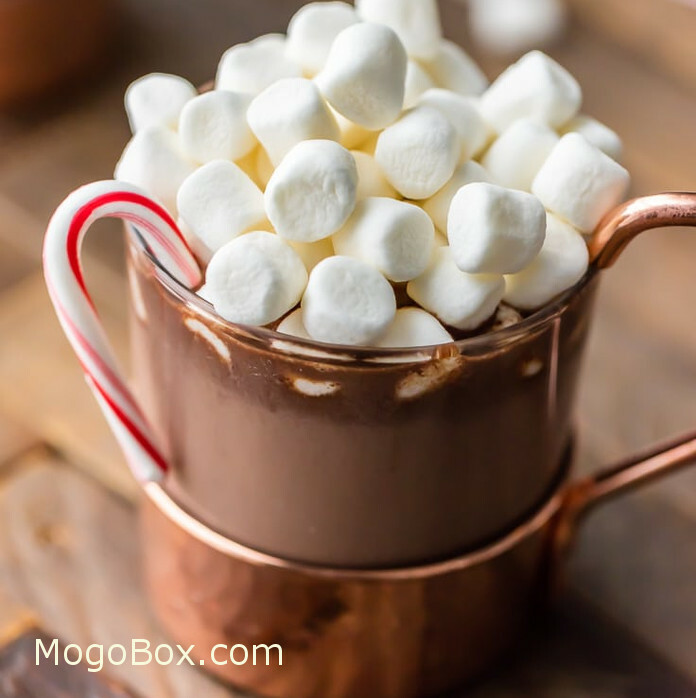 MogoBlog MogoLicious Tasty Tip of the Day: This peppermint slow cooker hot chocolate is creamy, and dreamy, and EASY…basically it’s just PERFECT for Christmas. Peppermint Hot Chocolate isn’t just for Christmas though! If you don’t make it for the big day, it’s also perfect for a fun snow day full of sledding, skating, skiing, or just for any chilly night throughout the year. Crockpot hot chocolate works for any time you need an easy way to create a big batch of hot cocoa for you, your family, your guests, etc. Combine all ingredients (except garnish) in a slow cooker set to low heat. Let cook for 2 hours, stirring occasionally. When chocolate is fully melted and the drink is hot to taste, it’s done! Top with marshmallows and mini candy canes for some extra fun. This entry was posted in MogoBlog, MogoLicious and tagged #MogoBlog, Condensed Milk, Cream, Marshmallows, Milk, Milk Chocolate Chips, Mini Cady Canes, MogoBox, MogoLicious, Peppermint Extract, Slow Cooker.